We are offering the mineral specimen collector, from beginner to the advanced, a once-in-a-lifetime collecting vacation opportunity. Poland Mining Camps has obtained exclusive access for our customers to some of the best mineral collecting available in the State of Maine. Concentrating on granite pegmatite collecting, we also have a few metamorphic mineral localities available. In the down-home atmosphere of our camp, you can share this experience with other enthusiasts, make new friends and encounter some of the best collecting opportunities ever. Come for 1 day (Tag-a-Long), 3 days, a week or more! Each day, you will be escorted to one of the many quarries available to us. Our visits are scheduled as to not interfere with any mining activity, but in some cases, you will be able to meet the miners themselves. As an example, we often collect at Mount Mica, Mount Apatite (Pulsifer, Hole-in-the-Ground and Keith quarries), the Emmons Quarry, Pitts Tenney (metamorphic minerals) and more. Some locations are producing freshly exposed material each week, while others have not been explored or collected at for 50 years. At a few locations, the mining dumps have never been searched. It is your opportunity to find great specimens for your collection and learn new things. The list of items you should bring are detailed later in the Web Site (or go there now with the above links), but we highly recommend a crack hammer (2 lb. minimum) and at least one hardened steel chisel (3/4" minimum). Any hand tool is okay to bring, but you may not bring/use mechanized equipment or explosives. Wrapping supplies are available free on campus, but bring your own containers to pack them into. A water bottle is a must during the warm weather months and proper clothing & boots a must. Finding gemstones has been a passion in Maine since @1820 and most mining ventures didn't let much slip through the cracks, especially tourmaline. We have to emphasize that you won't find gemstone rough of any kind all over the ground and you won't get rich. But our customers have recovered some nice gemstone specimens and occasionally some gem cutting rough with hard work and luck! In recent years, some gem beryl, garnet, quartz & tourmaline has been found. Conversely, cabochon rough of all sorts is easier to find. If finding gemstones was that easy, we would all be rich. The list of mineral specimens our customers have recovered is endless. From the common to the rare, cabinet to thumbnails, every customer has found mineral specimens to add to their collections. The old and new mining dumps have delivered some fabulous specimens. At some quarries, you are even allowed to use hand tools to explore certain areas of the pegmatite itself. Every season, some of our customers find world class pieces. Customers have even been known to ship boxes of specimens home. No one leaves empty handed though and everyone learns something new! If you are interested in micro-mount minerals, the specimens available at our quarries are unlimited - a Micromounters Heaven! Certain quarries are well known for their fabulous and rare micro-mineralizations, and it is common for customers to take home pails of material to sort through during the winter months. If you've never collected micro-mounts, you will get hooked once you check out your own material with our microscopes on Campus. See our list of micro mount minerals which have been found in Maine. We are redirecting you to another Web Site for the Maine Pegmatite Workshop. The page that comes up will display mineral lists for the quarries the Workshop visits. We do not have access to all of these quarries, nor are all of our quarries on this list, but the lists will show you what has been found in Maine. We do have exclusive access to the Emmons, Mt. 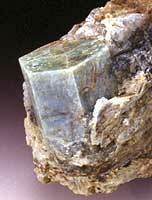 Apatite, Mt. Mica, Scribner Quarries on this list and we are also allowed to visit the Harvard, Morgan and Nubble (including the Tamminen & Waisanen in the same area). We have many other location on our quarry list, but for security reasons we cannot detail them! No matter what you find while at our Camps, learning about the minerals, pegmatites and some of the local history is the biggest benefit we offer. Whether on campus or at a quarry with a miner or another collector, discussion of the topics is encouraged - and often rewarding for both sides. At the Pavilion we have stocked reference minerals and literature for you to study anytime during your stay. No matter what your interests, it is a once-in-a-lifetime opportunity to find great mineral specimens for your collection and learn in the process.